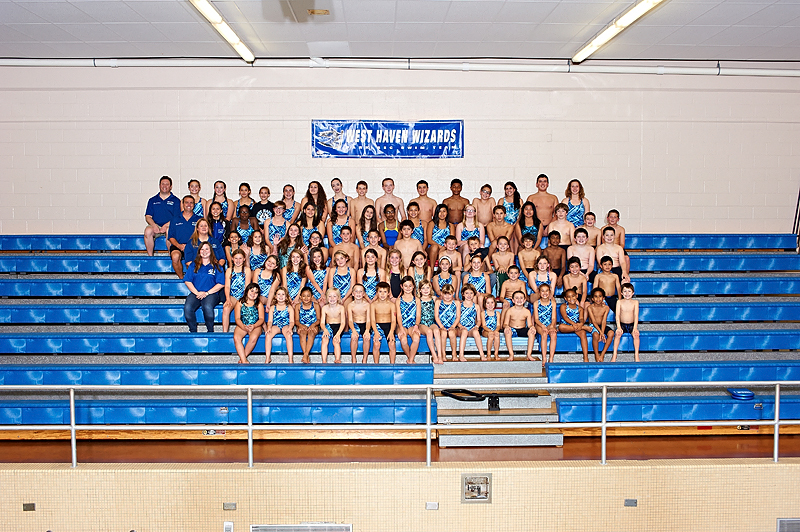 West Haven Wizards Park Rec Swim Team! YOUR SOURCE for West Haven Wizards news and information! The West Haven Wizards Park Rec Swim Team has a proud tradtion of teamwork, good sportsmanship, community service, and success for over 45 years. Competing throughout the state of Connecticut as members of the Yankee Swim League, the Wizards are dedicated to hard work, the achievement of personal goals set by each swimmer, and having fun. Our fall season from September to March and involves a number of meets (including Yankee League Championships) throughout the season and is devoted to training at a competitive level, while our spring season from May to late June is geared towards refining all swimmers' skills and technique. During both seasons swimmers will learn all four strokes as well as turns, starts, and relay techniques. In addition, the Wizards feature several other activites designed to raise team spirit, build friendships and give back to the community, from our Annual Awards Banquet to our participation in West Haven's Plunge For the Cure. Our current coaching staff has been leading the charge since 2005 and are proud Wizard Alums who know that being part of the Wizards is being part of a family. With the help of the West Haven Park Rec Department and our fantastic Parent's Club, the West Haven Wizards are committed to making sure every swimmer works hard, improves in the pool, and has a great time doing it. Welcome to the Wizards Online!!! Welcome to our homepage. Here at westhavenwizards.org, you will find all the information you will need, whether you are considering joining our team or are already a member of the Wizards Family! Take a look around, grab the info you need, and let us know if we missed anything! Members are welcome to post photos only after consulting the rules for posting photos section of the site!